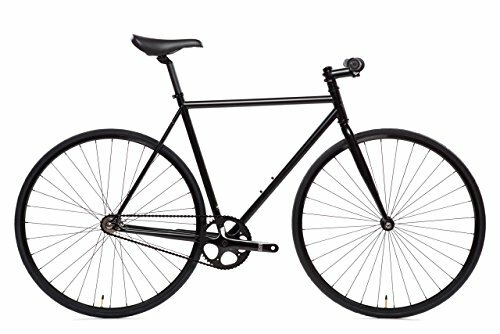 State Bicycle Co. is a rider-developed fixed gear/single speed bicycle company primarily based out of Tempe, Arizona. Our goal is inconspicuous: To bring essentially the most horny, top quality and smooth riding fixed gear bicycles to the market on the lowest value conceivable. As enthusiasts of fixed gear riding culture, we all know that riders need the facility to customise their bicycle from most sensible to bottom. That is why we currently be offering over a dozen other usual models, 5 handlebar styles (bullhorns, riser bars, drop bars, pursuit, and pista bars), 6 frame sizes (46cm, 49cm, 52cm, 55cm, 59cm, AND 62cm) in addition to the technique to design a one hundred% custom bike from most sensible to bottom. Our commitment to offering quality fixed gear bicycles and supporting both the local and bigger riding community is the it’s because we’re on this business.